Andy Shauf has been chronicling everyday tragedies through talk songs that swell with impossible brightness. Shauf's latest record, The Party, finds the Canadian singer-songwriter's skills in full bloom. Over plinking piano chords and blasts of clarinet, Shauf tells compelling stories about the pitfalls of socializing. Mississippi Studios, 3939 N Mississippi Ave., mississippistudios.com. 9 pm Wednesday, Dec. 5. Sold out. 21+. The four artists in this lineup are proof there's a whole lot of rhythm-and-groove packed within the nooks and crannies of this city. 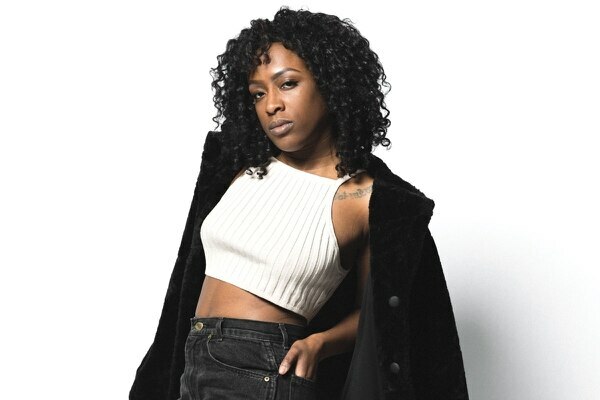 The free show offers a wealth of sounds, from Blossom's lush vocals, Maarquii's bass-heavy bangers, Amenta Abioto's experimental vocal looping and the in-your-face hip-hop of Karma Rivera. The show is produced by WW's Give!Guide, which is partnering with Cymaspace to make the event inclusive for the deaf community. Mississippi Studios, 3939 N Mississippi Ave., mississippistudios.com. 8 pm Thursday, Dec. 6. Free. 21+. December is the month when it's socially acceptable to dress up in garish apparel and roam the streets drunk. Don't resist the trend! You can start with this pub crawl, now 10 years strong, which celebrates the release of BridgePort Brewing's Ebenezer Ale. The roaming party starts at John's Marketplace. From there, you'll hit three bars in Multnomah Village. Santa suits and ugly sweaters are expected. John's Marketplace, 3535 SW Multnomah Blvd., bridgeportbrew.com. 5 pm Thursday, Dec. 6. Free. 21+. 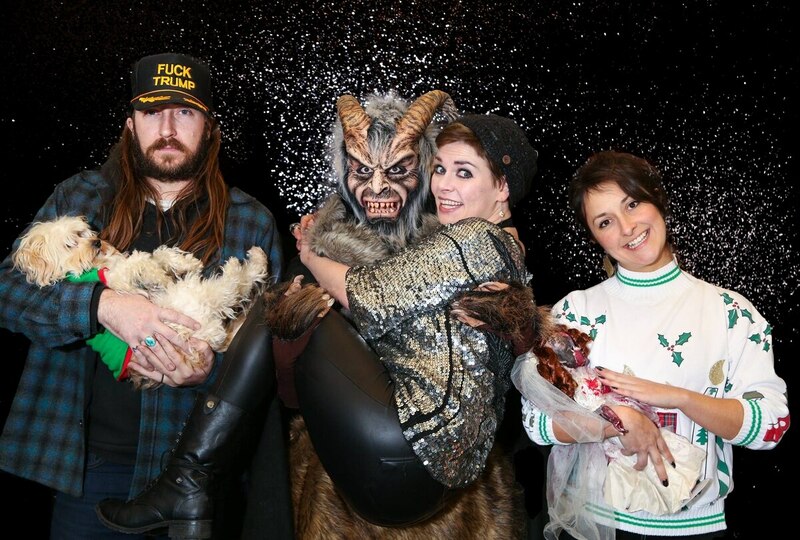 This holiday season, Hipster Santa is out and Krampus is in. Portland's been a little angrier this year, so the time feels right to celebrate Christmas by taking photos with Europe's favorite seasonal goat-demon. 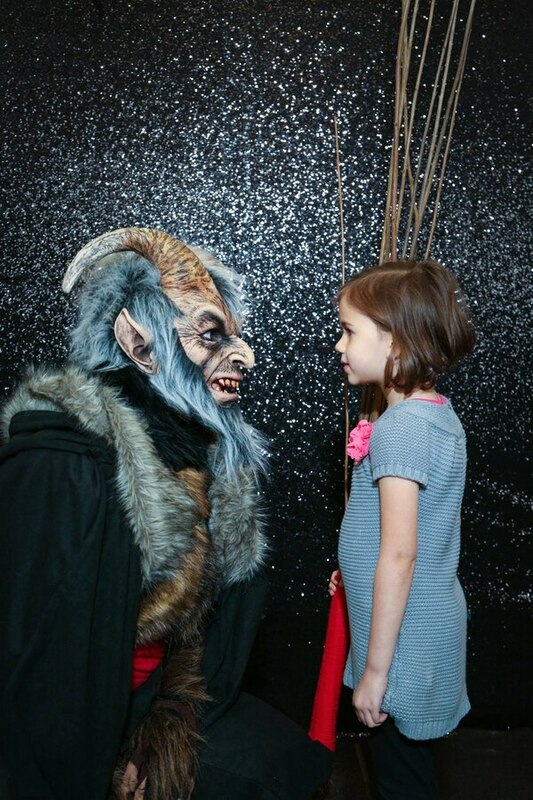 Photographer Michael Gary has been doing Krampus photo sessions around town annually since 2014, and the lines get longer every year. All ages are welcome, so bring your babies and your pets—he promises not to eat them. Field Office East, 1895 NW Front Ave. 5-10 pm Friday, Dec. 7. Continues throughout December. See facebook.com/MichaelGaryPhotography for dates, times and locations. $10. Two decades ago, Art Larrance and Ron Gansberg bucked trends by deciding to make sour beers on the bottom floor of the Raccoon Lodge and Brew Pub. That determination to be different paid off. Today, Cascade Brewing is recognized globally for its highly rated ales. Fans of the House of Sour are invited to celebrate the business's 20-year milestone with a '90s-themed party. The highlight of the event will be the release of Bourbonic Plague 2016, a beer that hasn't been bottled in seven years. The Lodge at Cascade Brewing, 7424 SW Beaverton-Hillsdale Highway, lodgeatcascade.com. 5 pm Friday, Dec. 7. Free. The Historic Victorian Belle mansion will be decked out in over a million lights for the month of December—not to mention hot apple cider, cookies, live music, movie screenings and, of course, Santa. Take a tour through the home to gaze at beautiful antiques, or stroll through the property's 2.5 acres and take in the sparkles. Victorian Belle Mansion, 1441 N McClellan St., victorianbelle.com. 6-10 pm Dec. 8-23. $8 adults, $5 children, $4 seniors, free for kids 3 and under. Have you ever wanted to be part of a world record, but you're way too lazy to, like, actually accomplish something yourself? This just might be your easiest path to glory. Event promoters Bananas PDX are indeed converting the Oregon Convention Center into what they're calling the World's Largest Blanket Fort, taking up 7,000 square feet and containing a dance dome, a game dome and a ball-pit dome. All ages are welcome in the afternoon, then a 21-and-over dance party breaks out at night. Oregon Convention Center, 777 NE Martin Luther King Jr. Blvd., worldslargestblanketfort.com. 1-11:30 pm Saturday, Dec. 8. $9-$39. All ages until 6 pm, 21+ after. Take a break from "barrel-aged" this and "barleywine" that and spend the day getting better acquainted with lagers. 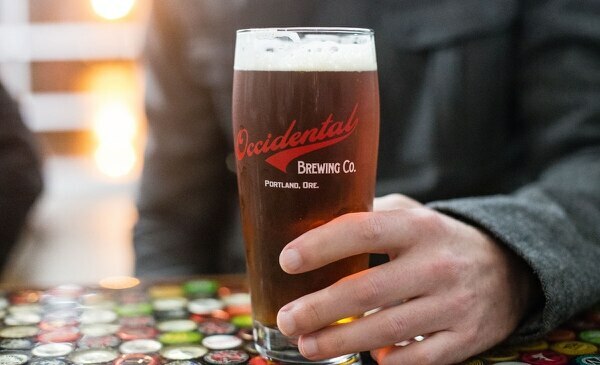 While you might picture fizzy, flavorless domestics, the style has great variation—light to dark, easy-drinking to bold—which you can sample at Occidental's annual event. Occidental Brewing Company, 6635 N Baltimore Ave., occidentalbrewing.com. 2 pm Saturday, noon Sunday, Dec. 8-9. $10. 21+. The best gifts are tasty. If you've got a foodie in your life, or simply someone who doesn't need another pair of slippers, then this new market should be the first place you go to shop. All of the 80-plus vendors are based in Oregon and many are upstarts or selling goods that can't yet be found in stores. With an array of chocolate, cheese, beer and more, you'll be the snack-bearing Santa. The Leftbank Annex, 101 N Weidler St., eatoregonnow.com. 10 am Sunday, Dec. 9. Free. It's difficult to talk about Billie Eilish without mentioning her age. Two years ago, at only 14 years old, the singer rose to prominence with her debut single, "Ocean Eyes," a sparse, electro-pop slow-burner helmed by her velvety voice. Her music is both rife with teenage angst and wise beyond her years—whether Eilish is singing with airy dreaminess or piercing anger, her songs are deeply cathartic. Crystal Ballroom, 1332 W Burnside St., crystalballroompdx.com. 8 pm Monday, Dec. 10. Sold out. All ages. With a combined 18,000 followers on Facebook, it's safe to say Napoleon the Alpaca and Rojo the Llama are more popular than you. The two therapy animals always draw a crowd wherever they go, but have taken a particular liking to Von Ebert Brewing. Get your photo taken with the local barnyard celebs, then stay for some killer beers. Von Ebert Brewing, 131 NW 13th Ave., vonebertbrewing.com. 5:30 pm Monday, Dec. 10. Free.